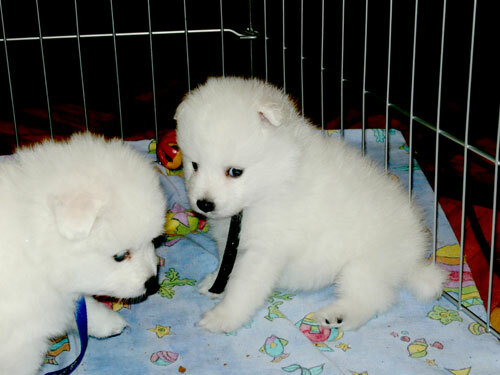 Kirri Ku Kennels is a new but already well respected breeder of the lovable Japanese Spitz. Our aim here at Kirri Ku Kennels is to breed pups and sell to loving families that suit the pup’s personality. 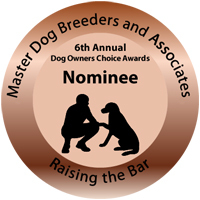 With our 2011 litter of pups we carefully selected the right family for each puppy. At Kirri Ku Kennels we rear our puppies in our family home. A lot of time and attention is spent matching new owners with our puppies. We don’t want you to miss out on the first few months of the puppy's life, so we invite you to come and witness your pup's new life as their personalities and physical looks grow. When you eventually take your new puppy home you will both be more comfortable with each other. A selection of personalised pet products and pet treats are also available. It is our goal to provide families with a lifelong companion, and supply the best natural products we can provide. Also if you wish we can personalise a little something with your pet’s photo. Please be advised that we are not currently breeding.